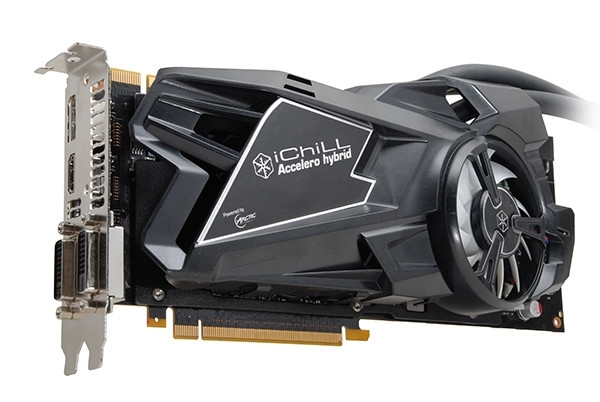 Company Inno3D in the event for CES 2014 gave an announcement of a powerful graphics accelerator iChill GeForce GTX 780 Ti Accelero Hybrid, designed for gaming desktops. Video adapter is equipped with proprietary hybrid cooling Accelero Hybrid, containing water-block and fan. Compared to standard products such decision allegedly improves heat dissipation twice and reduce the maximum noise level in nine times. 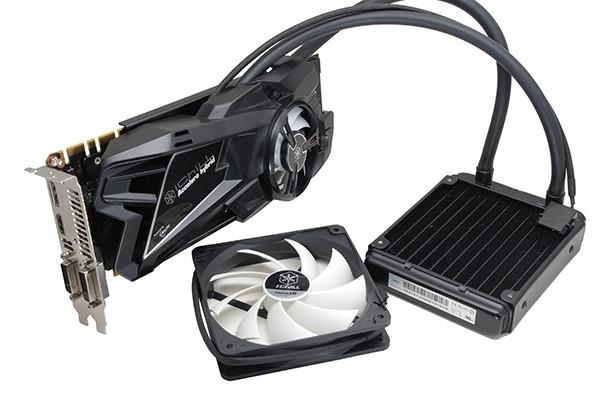 Product Series GeForce GTX 780 Ti 2880 account for nuclei CUDA. Volume present on board GDDR5 memory with 384-bit interface is 3072 MB. Using high-performance cooling system has significantly raise the operating frequencies. Thus, the graphics core frequency is at around 1085 MHz versus 875/925 MHz of the reference product. Memory frequency increased from 7000 to 7280 MHz. Graphics accelerator supports APIs DirectX 11, OpenGL 4.3, bus PCI-E 3.0, as well as traditional proprietary technologies NVIDIA (SLI, PureVideo, 3D Vision and PhysX). To connect the display has four connectors: HDMI, DisplayPort, Dual Link DVI-I and Dual Link DVI-D.
Start of sales of new products and the estimated cost, unfortunately, are not reported.